I have a lot of custom made maxscripts that I often use during my workflow, but those scripts are bit unorganized and maybe a little bit unstable, so, I am testing and improving the UI design to publish here. (btw, I am not a programer so, the code could be improved a lot). Important NOTE: Use these scripts by your own risk, I am not responsible to any data loss, or anything that could affect your project stability, so please save your file before using them and contact me in case you find some bugs. This Macro Script allow the user to Flat, Clean empty layers and Group DWG files when imported into 3ds max. This plugin could be useful for architects that want to work with DWG information as reference and want to remove anything that is not important. Also, this plugin will Flat your DWG files in case they comes with some errors in Z axis. This max script allow the user to select one single object from the scene and then attach all the objects that have the same material automatically. This script is quite useful when optimizing scenes for Drawcalls reduction and optimization, I made this script when working with big CAD files that have a lot of independent objects. 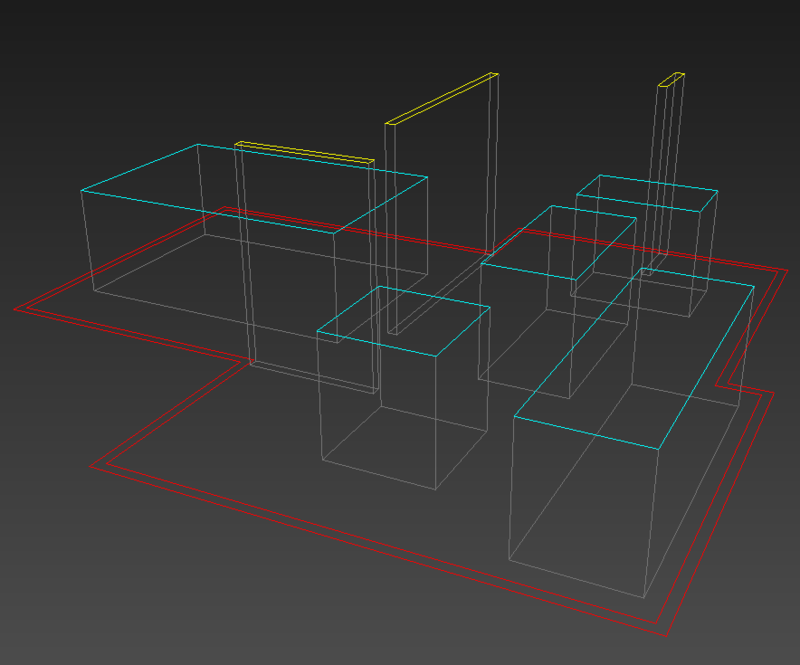 To run this script, just drag an drop into your open 3ds max scene. NOTE: I made this script to my personal use, so use by your own risk ( save your project before use it is recommended). This script was created to improve the workflow to automatic flatten Uvs in 3ds max for multiple objects . The main idea of this script is to define a Flat angle value and then just select a set of objects and Start the Flatten process. 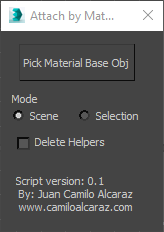 This script would be handy if you need to bake multiple objects inside or outside 3ds max. 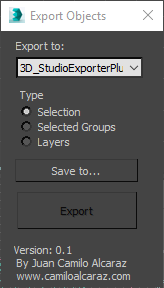 This script allow the user to export multiple objects based on different selection types, like Selected objects, Selected Groups and Scene Layers. This script could be useful when the user needs to export multiple objects in an automatic way preserving some sort of order.